Spending hundreds of nights on the road, you quickly learn to adjust and even sometimes crave the anonymity that comes with staying in a hotel. Rooms all look the same- same furniture, same tiny sample-sized shampoos and lotions, same stark white sheets and comforters. Hotels generally offer nothing special or remarkable to recall when you look back on your stay. You can be in the greatest, most exciting city in the world and chances are, unless you had a bad experience, you’ll barely recall your hotel room. Hotel stays can become like monotonous dating, which is totally fine for business travelers or those just looking for a place to lay their head, but for those of us looking for a little more adventure, there’s other options. Bed and Breakfasts can be a unique, offering up warmth and hospitality to help lonely travelers feel at home. The problem is in trendy spots; they’re often harder to come by and may be booked up months in advance. The best, most popular ones quickly become expensive and out of reach for many travelers. In 2008 a new company out of San Francisco was born- Airbnb. Ironically it took off immediately in Europe and is gaining popularity at hurricane speed here in the U.S.
Have a spare house, garage apartment, bedroom, boat, or even a sofa? You rent it, charging whatever you like. Airbnb keeps a small portion, around 3%. You have the option to refuse renting to anyone you’re not 100% comfortable with. Guests and renters are screened on both ends and leave reviews for each other to help comfort levels all around. Online and offline ID’s are verified, driver’s license, passport, social media sites are all used to help make sure people are who they say they are. Airbnb is so popular it’s now in over 190 countries and in 34,000 cities. And… There are so many options. Stay in a castle, on a boat, or in a barn as I did last summer while roadtripping with my son Jake, a senior on summer break from Penn State. 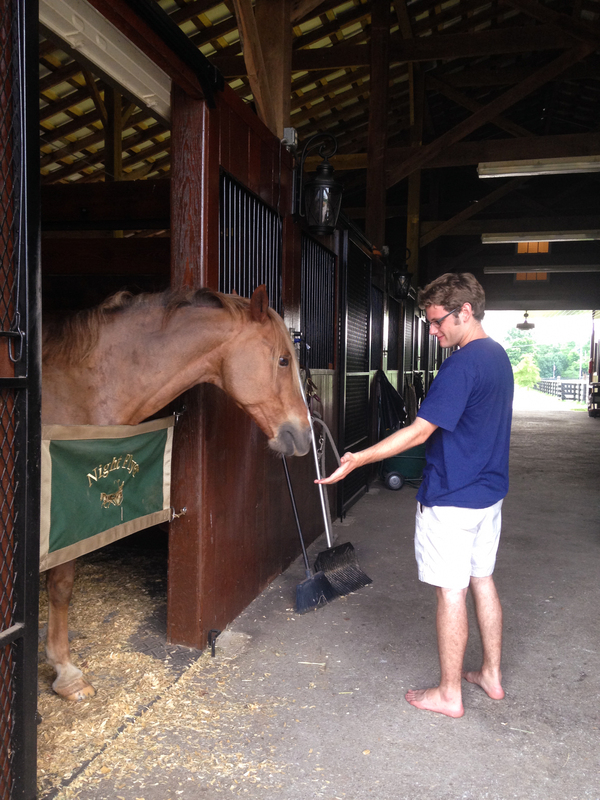 When I told him I booked us to stay in a barn in Kentucky, he was noticeably a little concerned, but when we arrived at the 30-acre working horse farm and saw our newly apartment on the second floor of an eloquent stable, he relaxed. Our six-figure thoroughbred neighbors below us ironically enough from Florida, turned out to be quiet and courteous. Our host Barbara met us upon arrival and graciously offered to give us a tour of the town. We accepted her offer to attend a horse show she was participating in at the Kentucky Horse Park a few miles down the road. Barbara recently became an Airbnb host after much encouragement from her grown children in California, who have been using Airbnb for years. 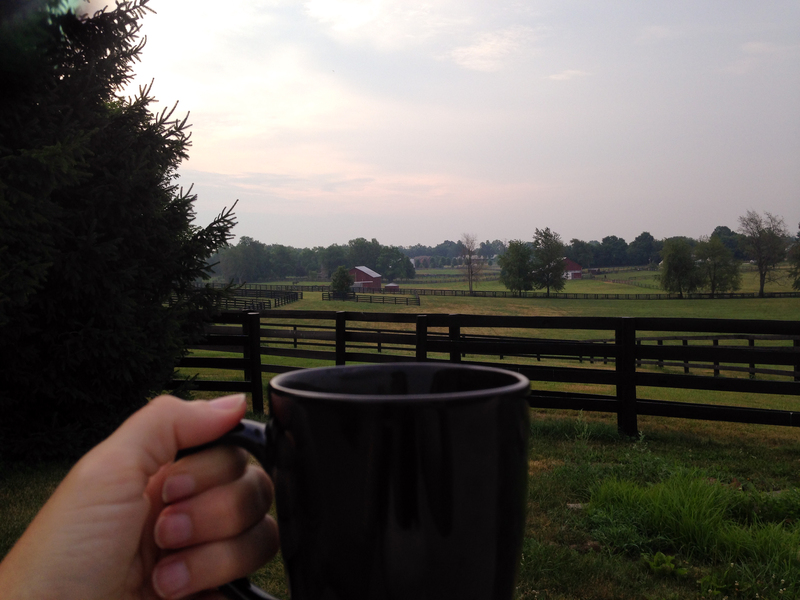 I spent early mornings in Lexington having coffee while admiring Cuchica, a 6-year old hunter jumper who slept beneath my bedroom window. The barn stay was the 3rd Air BnB stay on this Roadtrip and by far the most unique. 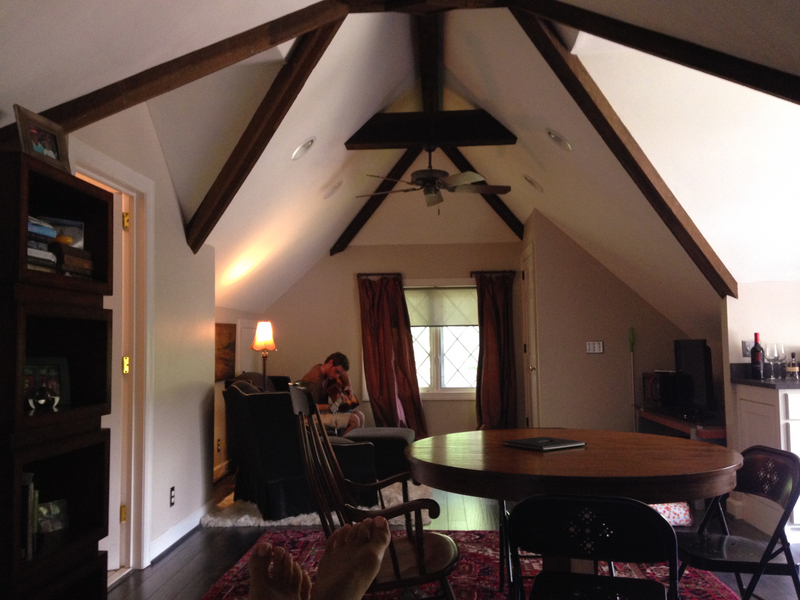 A few days before Lexington, Jake and I stayed at Jennifer’s Tudor-style carriage house in Nashville. Our place was located in a quiet exclusive suburban Nashville neighborhood, minutes from downtown. Our host made sure we felt at home by leaving us snacks, breakfast foods, coffees, teas, and best of all, a bottle of wine. The accommodations were five star and I could have stayed comfortably for months. The host’s friendly cats made themselves at home, visiting us a few times a day. On our first night, we passed through Asheville, North Carolina and spent a short evening in another Airbnb rental where our host Valorie lived in an upstairs apartment. She offered as most hosts do, to meet us in person to answer any questions or if we wanted privacy, simply to leave us on our own. I planned this trip at the last minute, booking places days before traveling, hoping to avoid hotels in attempts for a more unique experience. I also wanted to try Airbnb in the U.S. as I had only used it in Europe, where Airbnb is much more popular, a bit ironic since it was founded in the states. 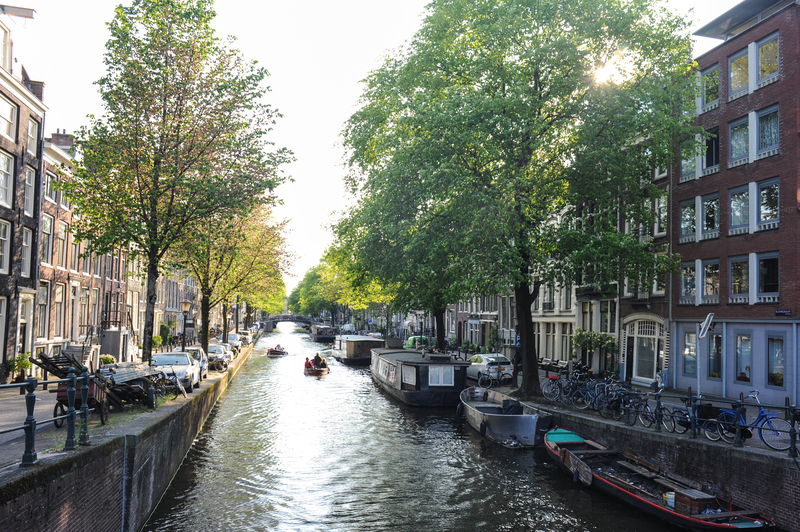 Last year, I used Airbnb to rent an apartment for a week’s stay in Amsterdam. My incredibly trusting host Maude, simply stepped out of her home for my stay, leaving everything behind- Personal items, clothing, jewelry, money were all left out in the open. It humbled me to know there are people in the world this trusting. My hosts in the U.S. were a bit more cautious but equally gracious with their spaces. If you’re wondering what a rental costs, the market generally dictates the price, but I have found in each area I’ve searched, the rentals are usually less expensive, sometimes as much as half the cost of a single hotel room. In Europe the savings is almost always even greater. Moving forward, when I’m up for a bit of an adventure, I’ll continue to seek out the uniqueness of each barn, boat, or castle provided by my Airbnb hosts, especially when traveling abroad. But I think I’ll also keep my hotel loyalty points tucked away just in case, for those times when I don’t want to be surprised, when I prefer the safety and solitude a hotel provides. And who knows, maybe one day, I’ll even become a host myself. 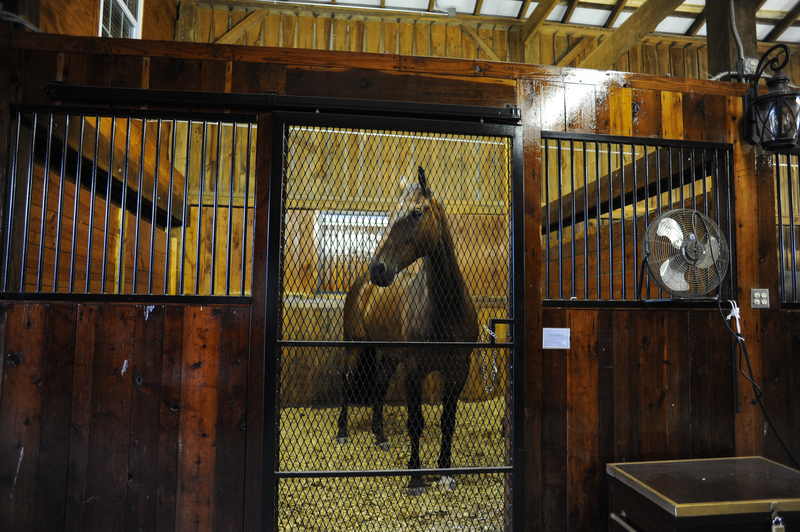 Cuchica- The window above his stall is my bedroom.